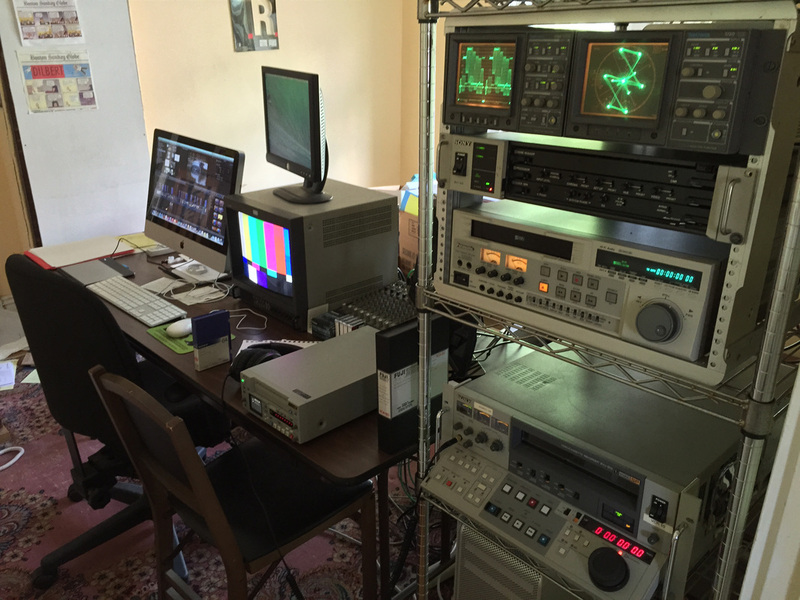 I specialize in archive quality video restoration from EIAJ-1 (reel to reel), U-Matic (3/4"), VHS, Hi8, and DVCAM. I can 'bake' and clean recordings, then digitize the signals, with time base correction, to produce digital video files in a variety of resolutions. I have assembled the equipment shown here, have had it tested and aligned to original specifications, and put it to use on a number of projects. For any media not mentioned above (such as film, BECACAM, 1", Quad, etc.) I can refer you to others who can work with you. Once video is digitized, it can be edited or enhanced through color correction, the addition of titles, graphics, sound, etc. For rates and arrangements, please contact me.